Wowee, another gorgeous perfume freebie! This time you can claim a FREE sample of Yes I Am perfume from Cacharel. All you need to do is follow the link and click the 'show ad' button. Then peruse your newsfeed as you normally would! The active advert will show up, and you can apply through that for your freebie. 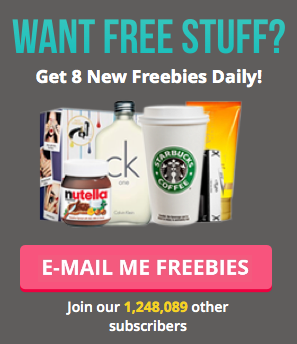 Who's going to say no to a fabulously feminine fragrance freebie?! Yes I Am has top notes of Mandarin, Cardamom and Raspberry, with base notes of Sandalwood and Milk. Follow the link and keep your eye out for the advert on your newsfeed!